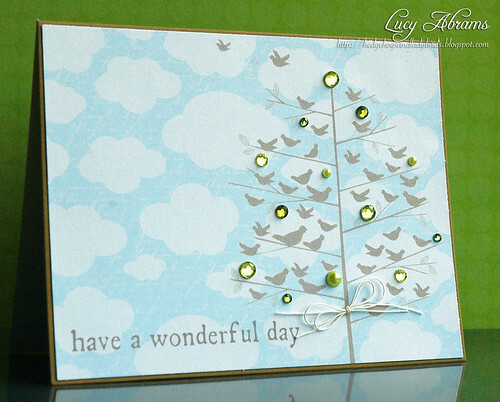 So I kept this really simple, just layering up lots of stamps in Word then printing onto white cardstock. I used the clouds from THIS kit, and the Old Letter Writing digi stamp which I altered to white to create a different effect. The sentiment is from THIS kit. Lovely card. Have a good weekend. Here the weather is brilliant, cold but sunny, perfect Autumn weather. Perfect card, Lucy! Love the added gems and pearls! Ooo love the combination of background digi stamps! Brilliant! This is so beautiful Lucy! And I love the bling! Such a sweet and peaceful card! I so admire your digital work.